Is Your Voter Targeting Supercharged? The voter landscape is more dynamic than ever, yet campaigns and agencies are stuck with static voter files and limited political data sets to power their targeting efforts. That’s why Resonate leveraged cutting edge artificial intelligence and deep learning to reveal the AI Voter Landscape, uncovering 9 targetable voter segments differing predictably along the most influential political drivers: shared priorities, values, motivations, policy positions, candidate platform support, party affiliation, voting history and more. Come Election Day, these audiences will decide critical local and statewide races throughout the country. For the campaign that's battling down the stretch, engaging these voter audiences with a political media buy is a smart move that will pay off when the votes are tallied in November. 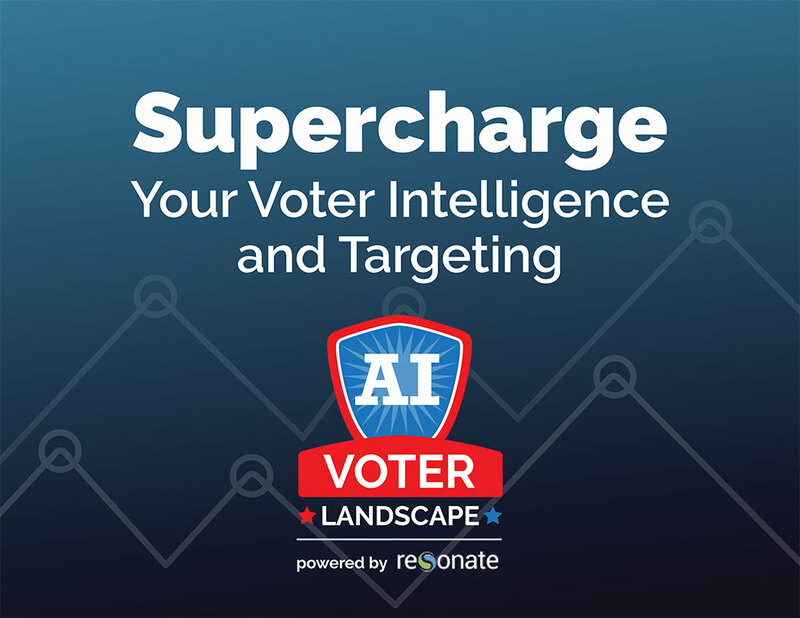 Download the AI Voter Landscape eBook to gain a deeper understanding of how your campaign can target and win these decisive 9 voter segments that comprise the AI Voter Landscape. For a quick preview of these segments, view the AI Voter Landscape Infographic. © Resonate. All rights reserved.